One of the great things about the Internet is that it is now easier than ever before to start up a business. If you have a product you want to sell, you can quickly create a website and get going for little investment. However, at the same time, it also makes it easier for everyone else to do the same thing. This means that no matter what niche you are in, you can expect the have a decent amount of competition. In order to survive you need to stand out from the fray. The way to do this is by constantly looking for and applying new ways to improve your eCommerce business. Here are just a few suggestions that you can use. One of the first things you should look at is your checkout process. People are shopping online because they enjoy the convenience of not having to leave their home. But if your website is hard to use, and it isn’t easy for them to checkout, some of this convenience then goes away. The result is that some of your customers may not become return customers, or worse may give up entirely before even making a purchase. Take some time to analyze your current checkout process. How many steps are involved? How much information does the customer have to submit? How long does it take? Once you have a good handle on how things currently work, look for ways to simplify. If your current checkout process has 4 steps, try to cut it back to 3 or 4. This may not seem like a big change, but it will make a big difference to your customers. In eCommerce, there are two halves to the customer experience. The first half is the buying process, where they visit your site and complete a purchase. The other half is getting the product out to them. When someone buys a product online, they don’t want to wait months to receive it in the mail. They know that they’ll likely have to wait longer than if they bought something in a store, but that doesn’t mean they want to wait forever. To make your customers happier, you should focus on your eCommerce shipping strategies. How do you handle incoming orders? What sort of system do you have in place to package everything up and ship things out? Are you able to notify your customers of the current status of their order? The more transparent you are with your customers, and the quicker you can ship out their order, the happier they’ll be. Take some time and look for ways to improve your current shipping methods. For instance, if you’re doing everything in writing, consider upgrading to a more digital process by using barcodes. Your customers are excited to get their product, so you want to capitalize on this by getting their order out as quick as you can. Now that you’ve improved your website and the behind the scenes stuff, it’s time to start getting more people to your site. To do this, you need to market yourself. Odds are you’ve already been marketing yourself, but there’s still more you can do. Many new business owners tend to focus on one or two marketing methods, while ignoring the potential of all the others. To branch out your marketing initiatives, here are a few strategies you can try. One of the primary ways people find new websites these days is through search engines. By optimizing your website to fit the criteria search engines are looking for, you can help your site appear higher in search results. There’s a lot that goes into good SEO, but it’s worth your time to look into it. The other major way people find websites is through their family and friends – or more specifically, through social media. To market yourself on social media you’ll want to do two things. First, have active accounts on all the major platforms – Facebook, Twitter, Instagram, Pinterest, etc. Then, with these accounts, promote your products and connect with others in your niche. A great thing about Social Media Marketing is that there are a ton of tools to help make it easier. For instance, there are tools that can auto-post to Twitter for you, tools that can ensure you have the right Instagram story size, and tools that can help you find the best people to connect with on certain platforms. By taking advantage of all these tools, you can turn social media into one of your best marketing strategies. A great way to market yourself, and enhance your other marketing efforts, is through content marketing. With content marketing you aren’t reaching out to potential customers directly. Instead, you’re creating great content on your website and using this to lure in interested parties. For example, if you’re selling toys for kids, you could have a blog article titled “50 Great Gift Ideas for Toddlers”. People would then find this article through search engines or social media, visit your site, and learn about your products. An effective, but often overlooked, method for marketing eCommerce businesses is Email Marketing. Email Marketing is just as it sounds – after gathering email addresses from past customers, you send out periodic messages about new products or offers to generate return customers. You can even use an outreach automation tool to make the process quick and easy. There are plenty of ways to market your eCommerce site, from the ones mentioned above to running ads to holding a contest. Make it a goal to explore a new strategy every once in a while and see which ones work best for you. Finally, the best way to know how to improve is to simply find out from your customers. There are two ways you can go about doing this – directly and indirectly. The direct way is to ask your customers for their feedback. 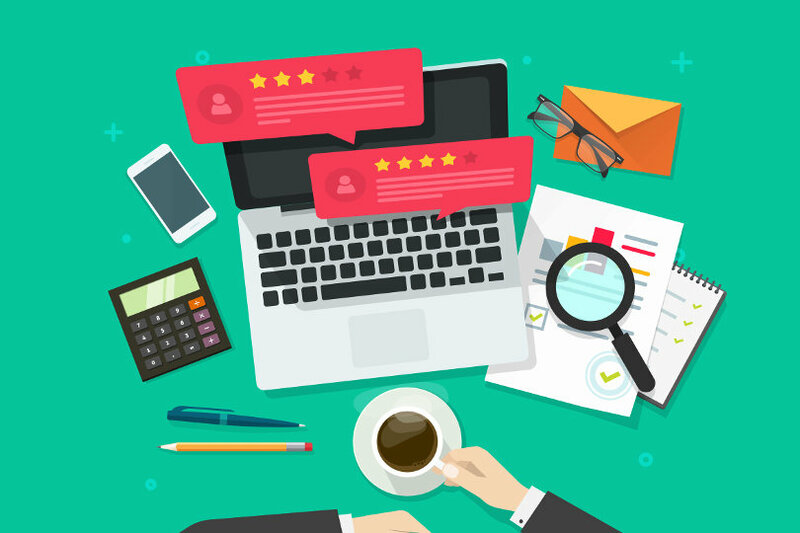 Send out a survey to past customers to find out how well they liked the website, any issues they had with the product, or how they think you can improve. The indirect way is to study their behavior. At what rate are people abandoning their carts? Which pages on your website have the highest bounce rate? Which product has the highest return rates? By studying your customer’s behavior on your site you can learn a lot about what’s working and what needs to improve. While starting up an eCommerce site may be easy, running a successful one isn’t. The key is you always need to be on the lookout for ways to improve, so that you can stay ahead of your competition. Hopefully this guide was able to give you some ideas, and you’ll be able to continue to grow your eCommerce business for a long time to come.